THE TOTAL EXPERIENCE OF THE GEIRANGERFJORD! 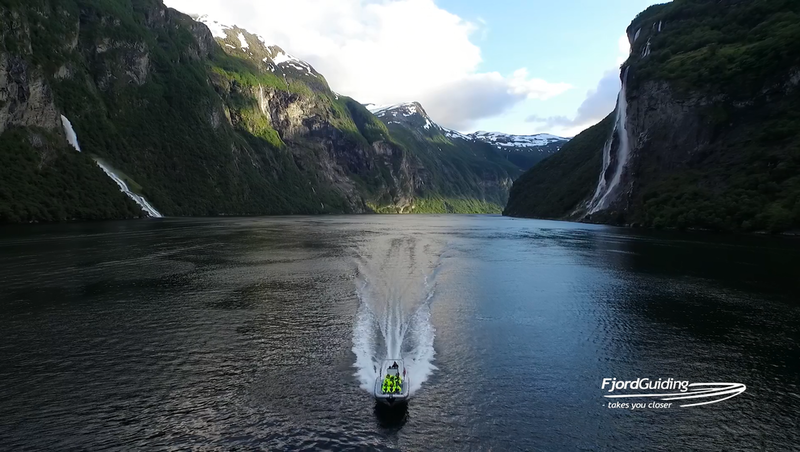 Experience the Geirangerfjord in full speed and with fresh air in your hair. This is a tour were you will discover all the highlights of the Geirangerfjord at close range. With an open high-speed RIB-vessel you will get even closer to this wonderful nature than you thought was possible. The boats goes completely into the waterfalls so you actually can taste it! They make several stops along the way so you can experience the most famous attraction at a very close range! Remember your camera! Departure: 08:00 - 20:00 from 19.04.2017 to 30.09.2017. Tickets: at ticket office (Tourist info in Geiranger) or online on this page. Online-booked tickets must be exchanged to a boarding card at the ticket counter. Fjordsafari with RIB-boat on the Geirangerfjord from Fjord Guiding on Vimeo.